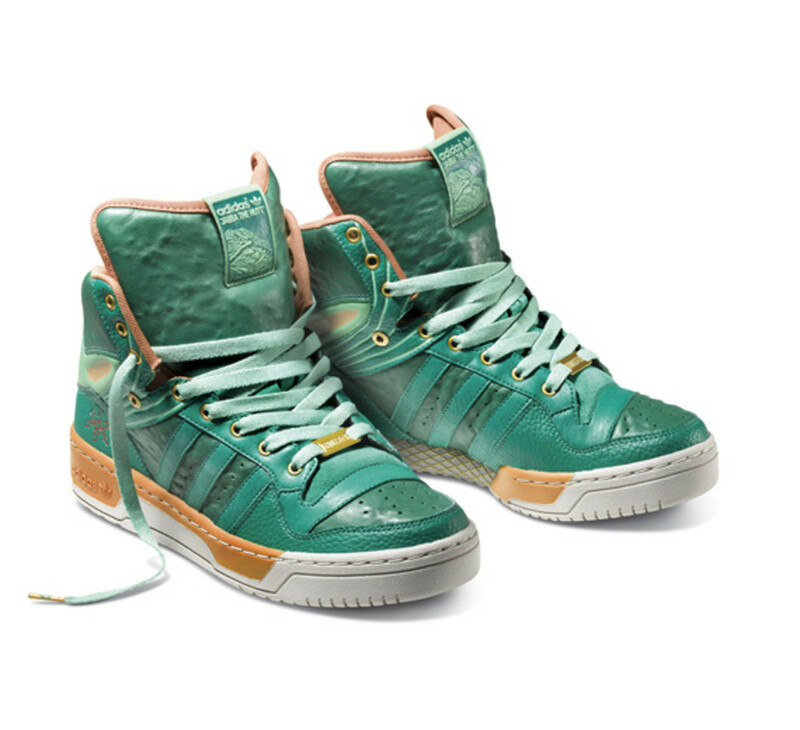 Star Wars x adidas Originals Fall/Winter 2010 - Attitude Hi "Jabba The Hutt"
The sleazy green crime lord of the galaxy, Jabba the Hutt may not be the most affable character in Star Wars (Though, men everywhere are probably thanking him for holding Princess Leia prisoner and putting her in that golden bikini), but he is indeed an indispensable character to the Star Wars universe. 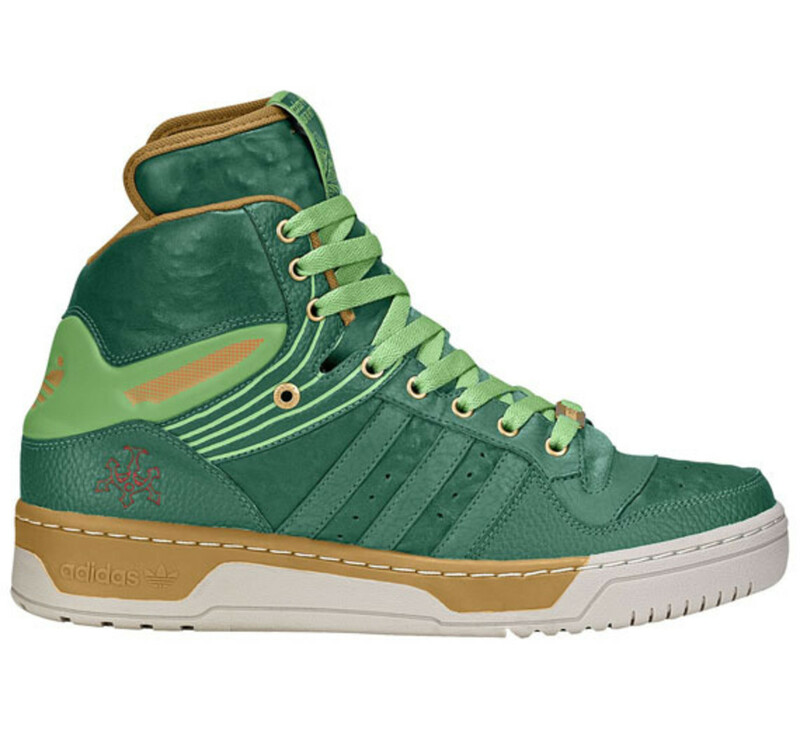 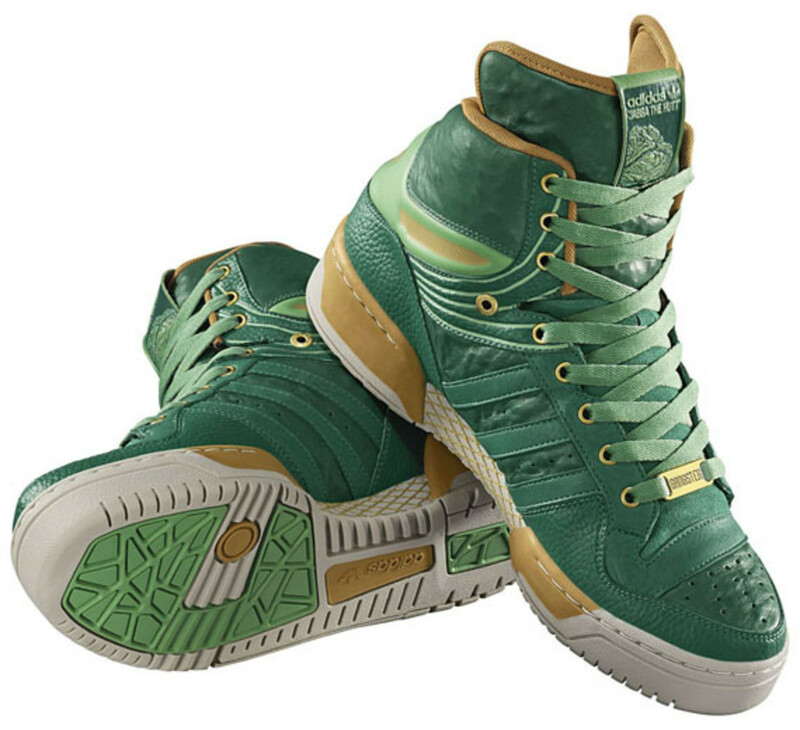 Thus, noting his influence in the universe even with the Galaxy&apos;s ruling government, adidas Originals x Star Wars pays tribute to the grimy green monster by rendering him into a pair of kicks-- the adidas Originals Attitude Hi "Jabba The Hutt". 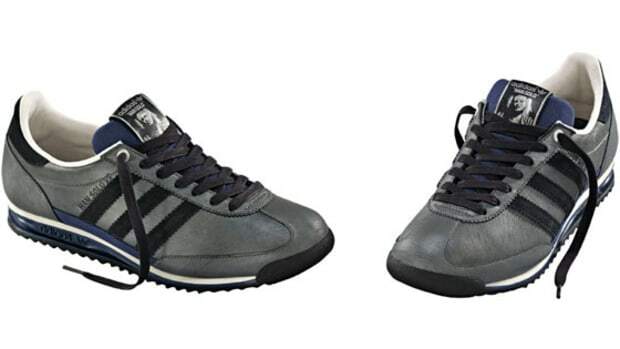 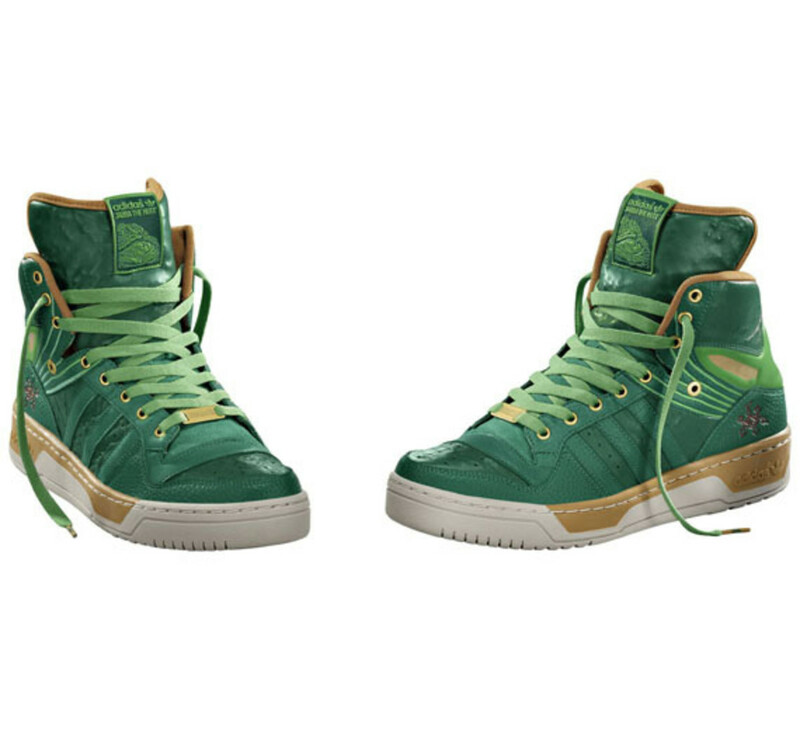 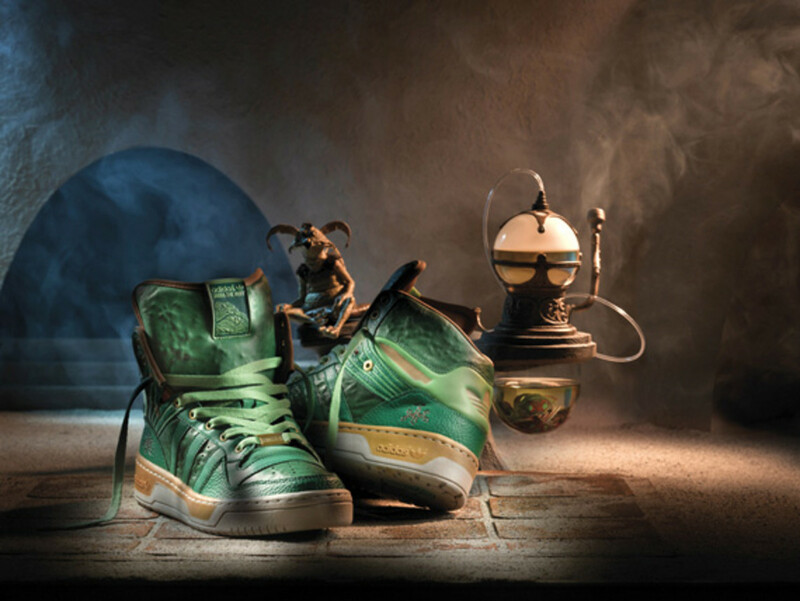 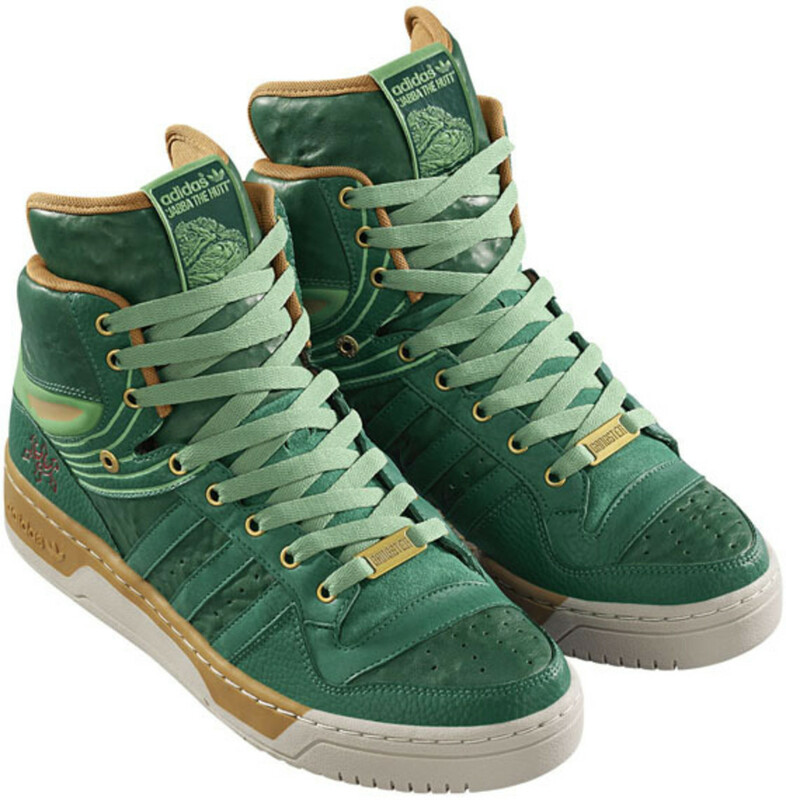 The classic adidas Originals high-top has been rendered quite true to the Jabba form, with distressed green leather on the tongue representing the unsightly vein-y bumps on his green leathery skin, and the rest of the shoes have been reworked in tonal green, mixing reptilian print leather with smooth green leather. 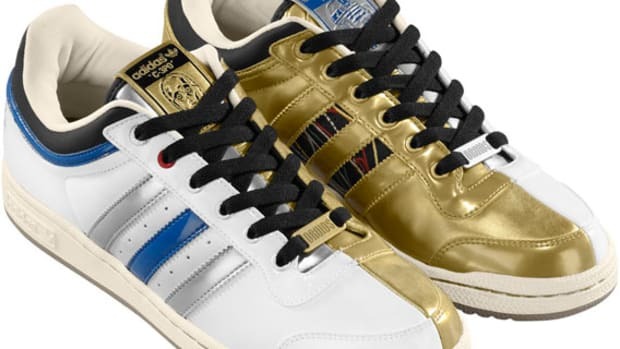 Gold accents in the midsoles, trimming and Trefoil complete the shoes. 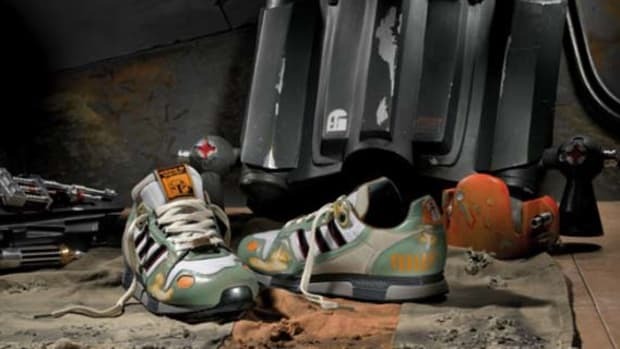 Like the other adidas Originals x Star Wars sneakers, the tongue tag is a specially embroidered tag, but this time featuring none other than most despicable green villain. 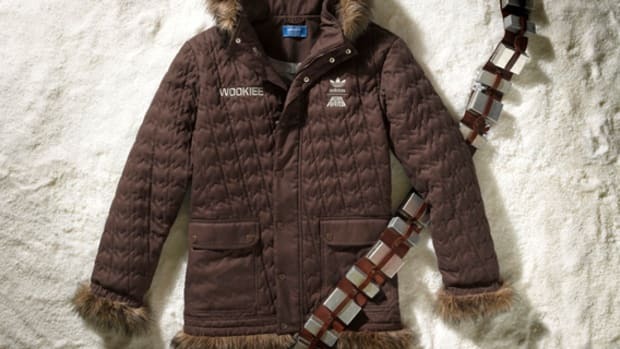 If Darth Vader is not your bad boy of choice, here is a new one to enjoy and consider! 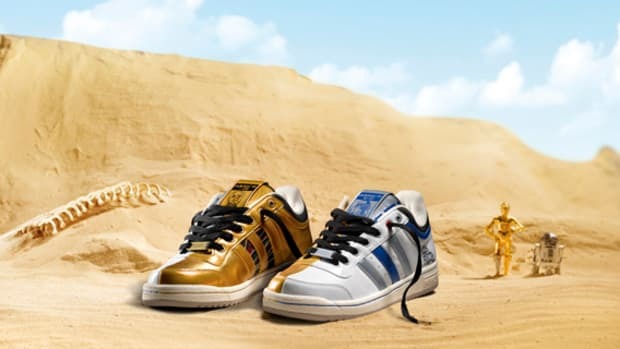 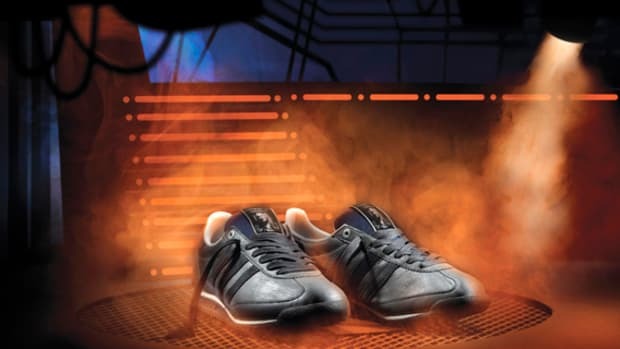 Star Wars x adidas Originals Fall/Winter 2010 - SL72 S.W "Hans Solo"
Star Wars x adidas Originals - Fall/Winter 2010 - Top Ten Low "R2-D2 + C-3PO"